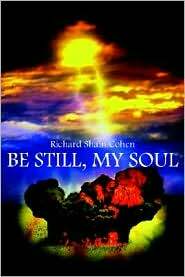 I wanted to let you know that my novel Be Still, My Soul, was recently released in e-book format. Below is a review, the synopsis, and ordering information. tragedy and eventual worldwide peace. E-OPTION Richard Shain Cohen’s novel—Be Still, My Soul—about a family’s struggle to endure World World II and the lasting impacts of such conflict, is now available in an e-book edition for the Kindle. To read more about the book, click HERE. Buy direct from the Author via Paypal. Add to your cart. Be Still, My Soul is also available from: Amazon, BarnesandNoble.com, Kobo, Google, and many other online retailers worldwide.